Ever wanted to learn how to throw pottery like Demi Moore in "Ghost?" Well, The Clay Studio wants you to live your dreams. On Saturdays in August, it will host wheel-throwing clinics for all levels of artists. 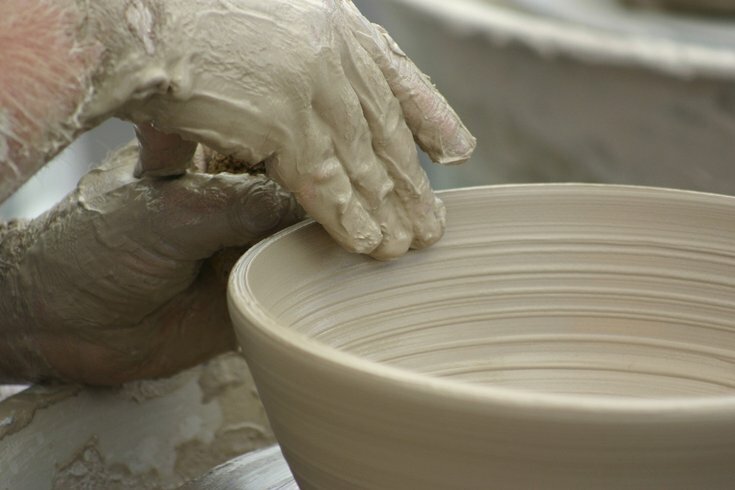 You'll learn the basics of throwing bowls and cylinders on the wheel in an afternoon of creative fun. Those with advanced skills can get some individual attention while beginners can find out about the pottery life without committing to a class. All the tools will be supplied, but you should wear clothes you don't mind getting dirty -- because they will get dirty. Be sure to sign up soon, as The Clay Studio's classes are notorious for selling out way ahead of time.